My Favorite Best Shoe Organizers, Racks, Cabinets and Cubbies! 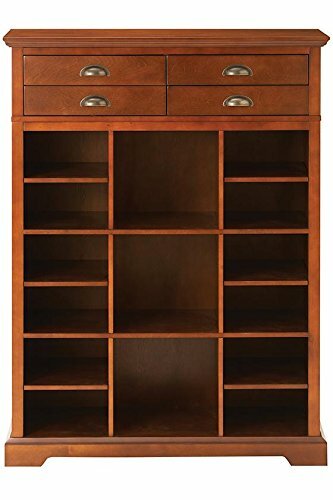 Fabulous Shoe Cabinets, Racks, Cubbies and Shoe Organizers for Closets or Bedrooms! Yesterday I came across a few of the best and coolest shoe cubbies and shoe racks for sale online! 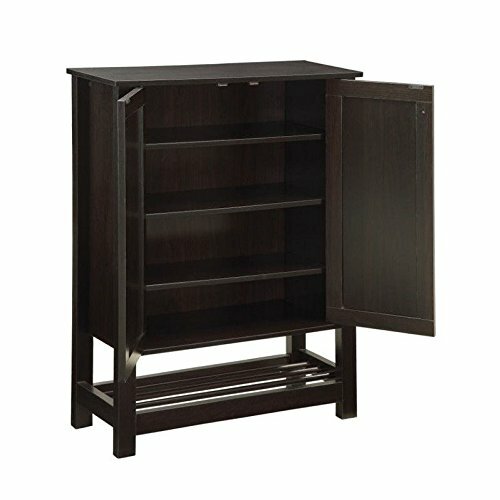 These are nice furniture pieces, not cheap plastic organizers. 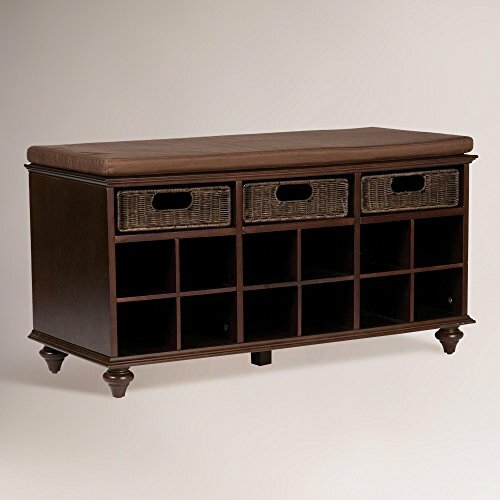 I am talking about beautiful shoe cabinets, benches and storage pieces that will last for many, many years! They can be placed inside your closet, if it’s spacious enough, or anywhere in the bedroom, since they look really nice! 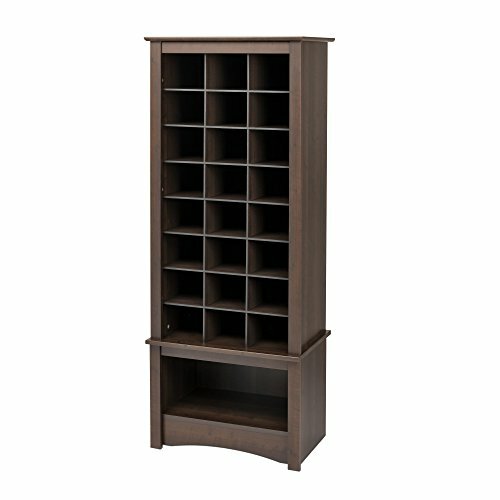 *This one in the picture, for example, is a gorgeous wooden shoe cabinet with storage drawers in a gorgeous dark chocolate finish! What a Stylish Shoe Organizer! As you can see it has 9 shelves and it fits a lot of shoes inside! It is also beautiful enough to be placed outside of the closet if you want. I love this elegant dark walnut finish too. This is a beautiful and also very stylish shoe bench that has 12 shoe cubbies that will fit 12 pairs of women’s shoes or 6 pairs of men’s shoes. The rich espresso finish gives it a nice touch of sophistication and elegance. 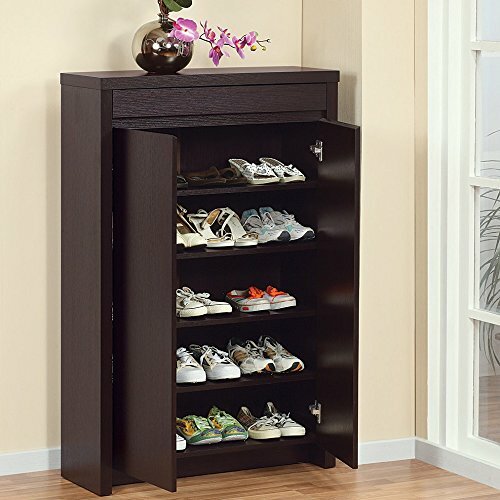 Nice Large Shoe Cubby Organizer with Drawers! This cute shoe cubby organizer with drawers fits up to 20 pairs of shoes and it’s very practical! The cute drawers can be used for placing your socks and underwear! It is elegant enough to be placed outside of the closet if you want. I also like this gray finish. Another beautiful shoe cubby organizer in a gorgeous chestnut color! It has three spacious shoe shelves and 12 shoe cubbies! It is also a nice looking piece that you can place inside or outside the closet. 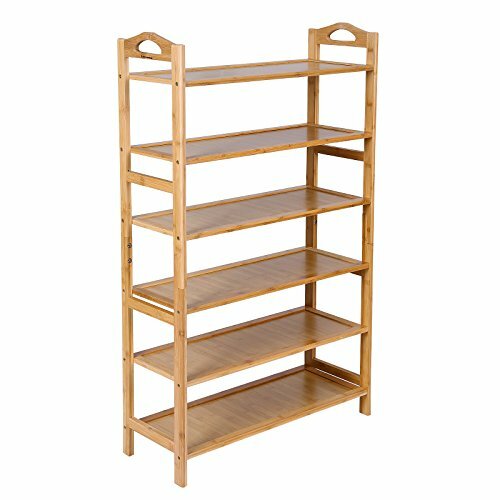 If you are looking for a nice and tall shoe cubby organizer for your closet or bedroom that fits lots of shoes at the same time I think you will be pleased with this one! First of all it is very stylish and it has a beautiful espresso finish. It has 24 shoe cubbies total and a bigger one at the bottom, that you can use to store even more shoes if you want. It’s very spacious and will fit several pairs of shoes. I like the fact that it’s open, so it will be easier to visualize and grab your shoes for the day. It is a very sturdy piece as well that will last for a very long time! *You can also get two, one for you and one for the hubby! 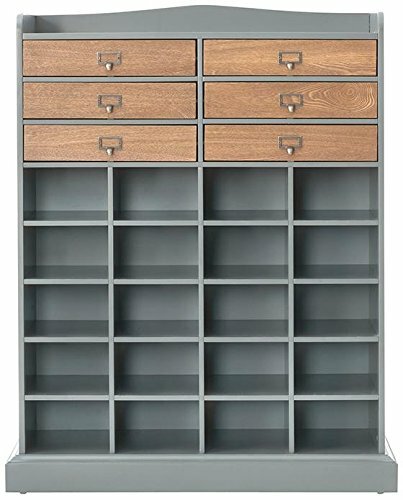 This is a cute and very affordable practical wooden shoe storage cabinet for your bedroom! The 5 shelves will enable you to fit all your shoes inside! When you are done choosing, just close the cabinet door and everything looks nice and neat again! Now if you are on a budget and looking for a cheap but nice quality shoe storage solution for your closet, then I would definitely recommend this one! This is one of the cutest shoe rack organizers for the closet I found! As you can see it is huge! It will fit over 20 pairs of shoes and it is absolutely adorable! Perfect for a teen girl’s bedroom or any girly lady’s closet! I have two of these in my daughter’s closet and it’s absolutely perfect to store all her shoes and keep everything nice and neat inside! It’s very easy to see all your shoes at once! The Most Beautiful Bookcases for Your Home!